Whether your second grader is reading below, above or at grade level, it's always a good idea to work on improving fluency and comprehension. There are numerous ways to accomplish this, but five key strategies have been provided below to get you started. Read on to find out more. When you're trying to help your second grader improve fluency and comprehension, having him or her read every day is important. At the second grade reading level, students are still learning to decode words and follow sentence structures properly, and need to practice those skills often. The type of material you may want to have your child read includes short stories, fables, folk tales or even poetry. Comprehension can also be improved when children listen to a narration of a story and follow along in their own copy of the book. Therefore, look for books that have tape or CD recordings to go along with them. Have two copies of the book if you want your child to follow along independently while you read aloud. In addition, your local library or bookstore may offer free book readings your child can attend. The more involved children are with the material they read, the more they tend to comprehend. Have your child stop at certain points in the story to summarize what he's read, either by retelling the story verbally or by writing the information down. Another creative option is to have him draw pictures that reflect the events that have taken place in the story. Have your second grader make connections to the material she's reading by asking her what she already knows about a topic in the story. Alternatively, your child can compare or contrast herself to the main character or discuss her feelings about the story's central problem or overall message. 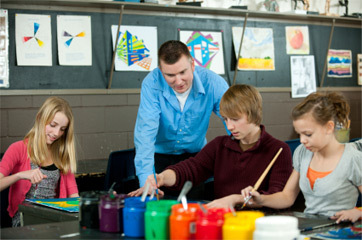 At this age, many students benefit from visual, hands-on activities. Use graphic organizers, like a Venn diagram, to help your child think about the story. Finally, at the second grade reading level, it helps to have children answer straightforward comprehension questions about the material. They should be able to answer who, what, where, why and how. Some books will already contain questions for your child to answer, but for other books you may have to create your own questions.